I've been on Weight Watchers on and off for years, which means, as most diets go, I've had a lot of "Day Ones". I start the plan, rock the plan, drop the plan, need the plan again. Wash, rinse, repeat! 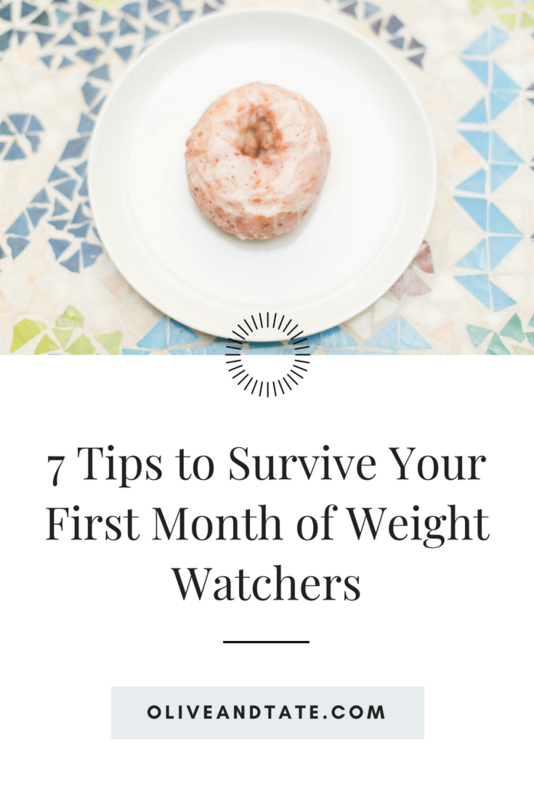 It's no biggie, that's life, but because I've had my share of fresh starts, I happen to know a handful of great tips to make your first few days and weeks on Weight Watchers successful. And let's face it, if you hit the ground running, you'll be inspired to keep it up for the long run! As a head's up, I'm not a medical professional and have no training in nutrition. This is my personal experience and should not be considered medical advice in any way. Go ahead and snag a cheap food scale, a measuring cup with numbers inside the cup and a full set of measuring spoons. You'll want to measure everything in the beginning to ensure that you're eating as much as you can for as few points as possible. Before I had a food scale, I was just guessing that something weighed closed to an ounce. When I started to actually measure on a scale, I realized I hadn't been over eating, but in fact had been majorly shorting myself on portions. Hello! I could have been eating more! Total rookie move. Food scales an be majorly inexpensive (my digital scale is less than $10) and are going to be worth every penny as you learn the in's and out's of the Points System. The current Weight Watchers plan, Freestyle, is different from plans in the past as it focuses on using a large list of 0 point foods as much as possible. With that in mind, the daily points budget has been lowered so if you've done plans in the past, you may be surprised with how few daily points you get. You will use all of your daily points and are encouraged to use many of your weekly points. This was a hard change for me as I was used to avoiding my Weeklies but this program will take some getting used to. Plan to use those points and hit your daily goals without stressing about taking in a large percentage of your Weeklies. Instead of snacking out of large containers and then hoping/guessing/praying that you stayed within a recommended serving size, scoop out what you're noshing on before you get started. Everything from a tub of hummus to a bag of chips is really a points explosion waiting to happen. I personally struggle with portion control so making sure that I don't mindlessly dip or snack out of a large container is a must for me. By portioning out what you're eating you can see what your points value is getting you and if you choose to go back for more, you'll know exactly what to track. I recently, after doing this program for years, mind you, blew my daily points budget on meatballs. Meatballs. I didn't realize how high in points they would be and so I didn't search for point values on my app before I ate. Whoops. I can honestly say that if I had searched prior to eating, I would have chosen a completely different meal because meatballs just wouldn't have been worth the points to me. By searching/tracking/planning ahead of time, you'll know exactly what to choose when eating out and you won't be disappointed that you "wasted" your points on mediocre meatballs. As a tip, some people find success in planning and tracking their entire day in the morning so that they know what their day will look like. Spend some time going over that 0 point food list, it will be your best resource to staying within your daily/weekly point totals. The new Weight Watchers plan (Freestyle) has the largest list of 0 point foods ever and the plan relies on your eating as much off of that list as possible. Be sure to stock up on zero point foods, snacks and ingredients that you love so that you have them on hand when you're hungry, need a snack or don't feel like making an entire meal. I also make sure to prep or cook zero point foods to have them on hand at all times - I cook chicken breasts with herbs and spices, dice them up and keep them in my fridge at all times. I toss them on salads, in wraps, even cooked with eggs for a zero point protein meal. When it comes to snacking, it is so easy to grab high point items without realizing it (hello, granola bars) and having zero point snacks ready and waiting is huge for success. You can choose the day your week ends and your points roll over - choose the day with your real life in mind! I choose to have my points roll over on Thursdays, which means I also weigh in on Thursday mornings, allowing me for the maximum amount of time to recover from the past weekend before I hit the scale and setting me up to have the most Weeklies for the coming weekend. Slow and steady losses are the goal and sometimes the losses are measured in ounces and not pounds. In the last two weeks, both of my losses have been measured in ounces but the ounces add up to pounds and I'm still seeing a number on the scale that I haven't seen in a long, long time. Some weeks you may see pounds lost, some weeks may be smaller wins, but as long as the number is going down, it's a success. Thank you for sharing! This was absolutely perfect timing, as I am ready to get serious and sign up! I have recently seen the scale move forward and trying to catch it/control it before a holiday disaster hits! I have been off and on weight watchers for years as well. The last time I canceled my account I was just so tired of tracking everything. I tried the paleo lifestyle for a while. But slowly have gained back weight. Weighing and tracking really does make a difference. 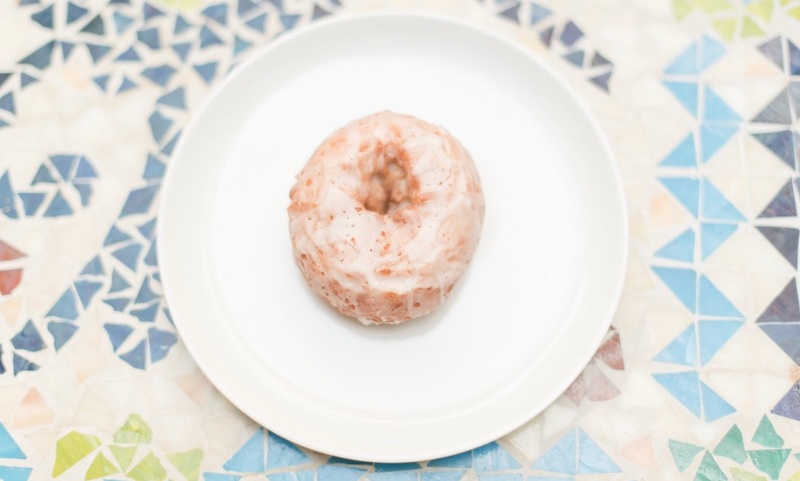 This blog post has inspired me to give weight watchers another try! Thank you! !